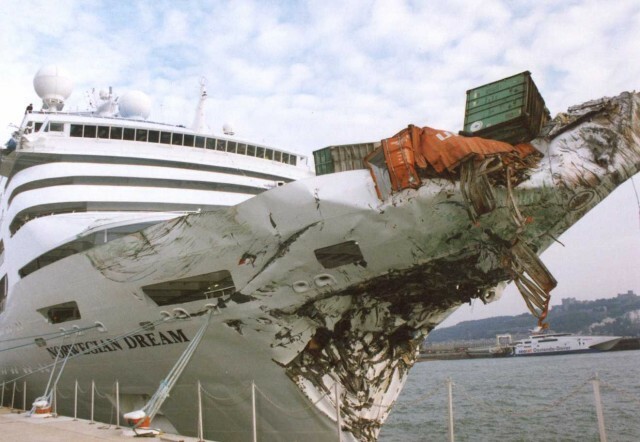 On August 24, 1999, the 230 meter long, 6731 dwt passenger cruise ship Norwegian Dream collided with the 294 meter long, 55527 dwt container ship Ever Decent in the English Channel. 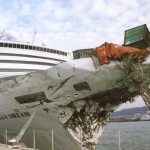 Around 1:15 a.m., the Norwegian Dream was en route to Dover, England from Zeebrugge, Belgium with 2,400 passengers when it struck the Ever Decent four miles southeast of the Falls Head Buoy. Passengers awoke hearing a loud bang and cruise ship shaking violently. Frighten the passengers were mustered up on deck and told to put on life jackets. 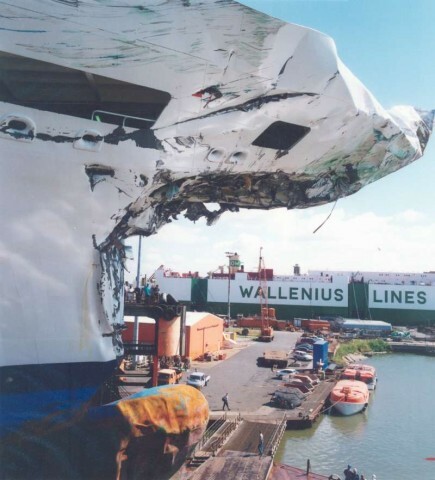 The crew inspected the vessel for damage and found a large section of the bow was crushed or had been torn away. On the deck the crew found 5 containers from the Ever Decent on the cruise ship’s deck. 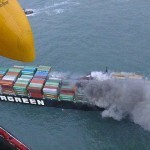 The containers held cyanide, but luckily they did not rupture. 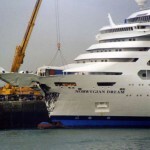 While severely damaged, the Norwegian Dream remained afloat and was able to reach Dover under its own power. 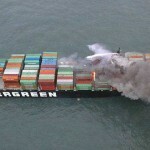 Some 21 passengers suffered minor injuries. 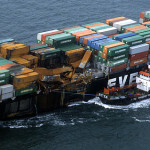 The Ever Decent had sustained heavy damage from the collision. 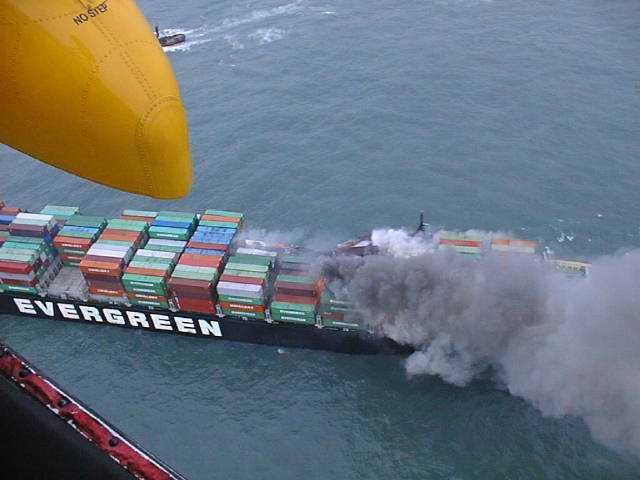 Several containers carrying paint on board had caught fire and multiple ballast tanks had been ruptured causing the vessel to develop a 40 degree list. 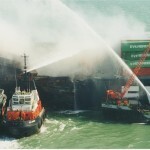 Fire fighting tugs, RNLI lifeboats and Coast Guard vessels were later able to extinguish the blaze, but it required efforts from Dutch and UK fire fighters efforts over several days. 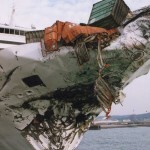 Later, the disabled container ship was towed to Zeebrugge. 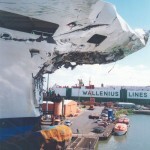 Both vessels were later repaired and went back into service.